Welcome to a new school year! This year, we thought we'd give classrooms and students more options. Instead of giving a question a month, all of the questions will be listed below so teachers and students can choose the question they want to solve. There were so many great responses last year that we want everyone to continue to have access to those too. So the question below will be linked to last year's question with link-up. That way, you can learn from other classes who explored the same question. In the comments to this post, tell us when you've finished a challenge question and include a link to your work. (Last year, we had blog posts, videos, etc.). We'll share those through Twitter and this site throughout the year. 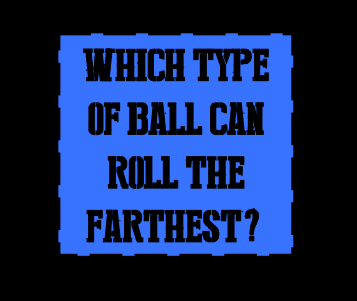 Which type of ball can roll the farthest? Who in your family can jump the highest? 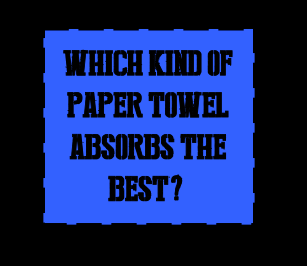 Which kind of paper towel absorbs the best? 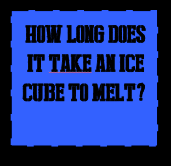 How long does it take an ice cube to melt? 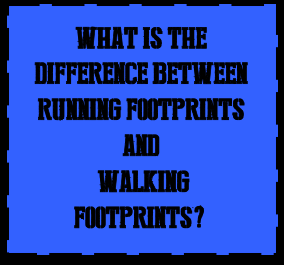 What is the difference between running footprints and walking footprints? Which type of ball can bounce the highest? 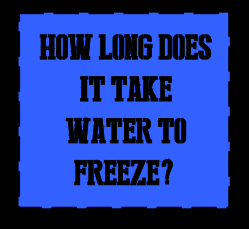 How long does it take for 1/4 cup of water to evaporate? How does a shadow change across the day? 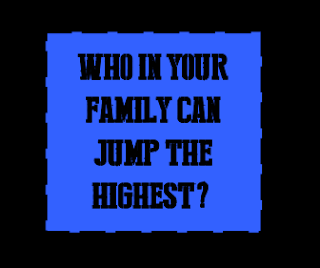 Who in your classroom can jump the highest? Who in your group can jump the highest? And if you haven't had a chance to look at all of the amazing things people did to solve the August question, make sure you do that! Next question will be posted on October 15.